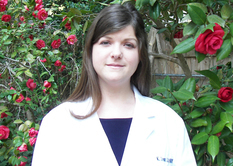 Meredith Stewart is a nationally certified acupuncturist and herbalist licensed to practice in Louisiana. She earned her Master's degree in Acupuncture and Oriental Medicine from the renowned AOMA Graduate School of Integrative Medicine in Austin, Texas, after receiving a B.S. degree in Biophysics from Centenary College. She has also studied at Chengdu University in China, at M.D. Anderson Cancer Center in Houston and via numerous continuing education courses. Ms. Stewart was named a diplomate of the National Certification Commission for Acupuncture and Oriental Medicine and has experience in both clinical and spa settings. She has also served as an adjunct faculty member at the Feist-Weiller Cancer Center, LSU Health, Shreveport. She is passionate about the fact that acupuncture and herbal medicine can greatly improve energy and wellness, and do so safely and at a reasonable cost. She asserts that one really has to experience acupuncture and Traditional Chinese Medicine (TCM) in general to appreciate how relaxing and revitalizing this form of medicine truly is. AOMA offers a four-year masters-level graduate program in acupuncture and Oriental medicine (and more recently a Ph.D program), preparing its students to be skilled professional practitioners. It is known for its internationally recognized faculty and for its award-winning student clinical internship program. It is accredited by the Southern Association of Colleges and Schools (SACS). As a trained herbalist, Ms. Stewart is able to recommend herbs to bring the wisdom of Chinese medicine into your daily life until your system comes into balance. Unlike many pharmaceutical preparations, herbs do not have to be taken indefinitely. Instead of performing a given function for your body, herbal medicinals are chosen to coax your body into properly functioning on its own. Select herbal formulas are available in the clinic as capsules, tablets, tea or tinctures. All of our Chinese herbs are from companies that source their raw materials very carefully. Repeated testing ensures that the herbs are safe, high quality products. Their herbal extracts follow the standards of current Good Manufacturing Practice (cGMP) established by the U.S. Food and Drug Administration (FDA) and the World Health Organization (WHO). In addition to Chinese herbal formulas, we also carry a limited number of educational books, DVDs, aromatherapy oils, and herbal skin care products. Energy Healing Therapist Denise Kilonsky specializes in reducing mental and emotional stress from the body, mind, and spirit and how they adversely affect our lives. In her own words: "I have found that every component of illness or “dis-ease” has at its core trapped emotional energies that disrupt the healthy balance of our body. Many clients consider me as a counselor (even though I’m not). I have taken many courses over the years (I was a Career Advisor in the military) and learned many methods of asking questions to get to the underlying root belief and cause that is holding an issue in place. I’m skilled at compassionately holding the space for emotional breakthroughs to erupt and clear using a wide variety of Energy Therapies."